We'd imagine that a lot of people reading this will be rocking ATX boards in big cases, with a single graphics card, SSD, and maybe a hard disk or two. If so, why, when you have boards like this to choose from? 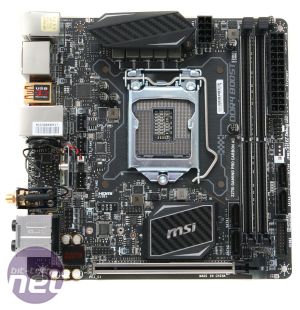 That's right, we're looking at our first Z270 mini-ITX board, and our first of 2017, in fact, courtesy of MSI - the Z270I Gaming Pro Carbon AC. 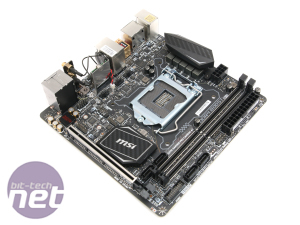 It's something to think about: If you don't need those additional PCI-E slots and are happy with what is usually pretty good onboard audio these days, why do you need ATX? Indeed, why do you even need micro-ATX? 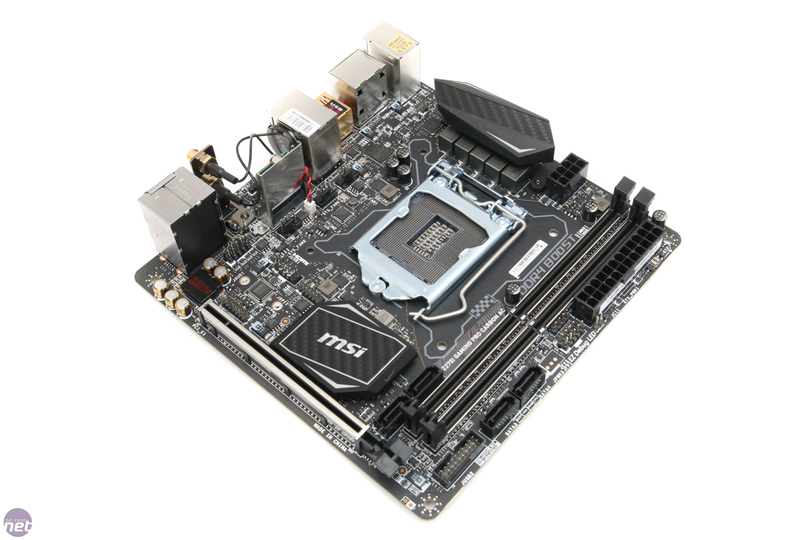 Thankfully, for anyone that has drastically reduced the space their PC needs already will know, there are some great mini-ITX cases around and plenty of motherboards to go in them too. 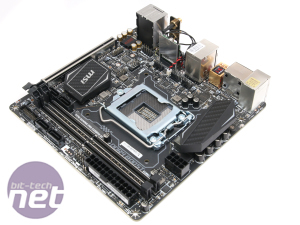 All four major enthusiast board manufacturers have them for Z270, and ASRock even has two, but where does MSI's effort fit in? 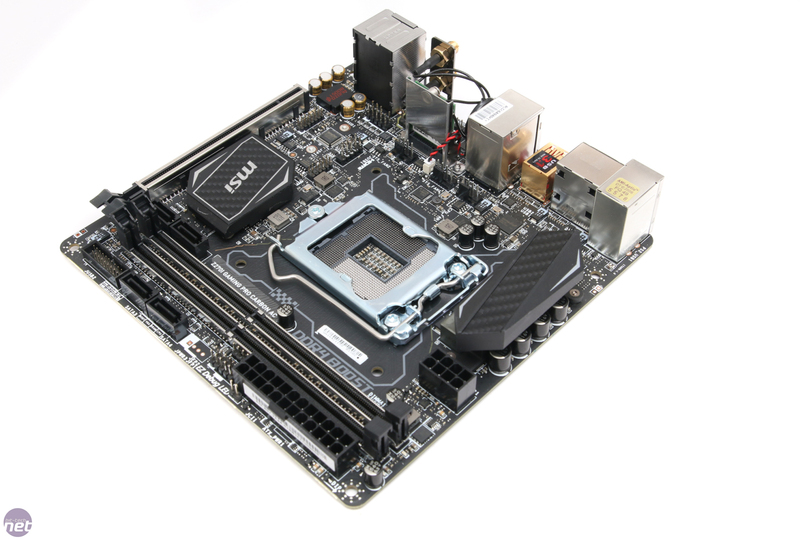 If past experience is to go by, it's likely to be a hot competitor for the top slot, and in the absence of an Asus Maximus IX Impact so far (we recently spoke to Asus, who said that it's not set in stone that an Impact won't appear and that the ROG Strix Z270I Gaming hasn't necessarily replaced it) the mini-ITX Z270 crown is up for grabs. 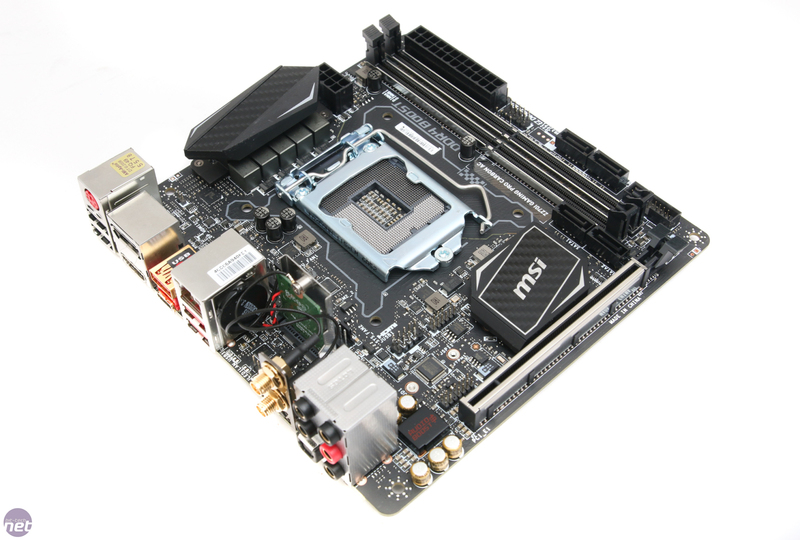 MSI has had some very solid offerings in the mini-ITX arena, dating back at least three chipsets, and while it had a bit of a hiccup with its Z170 version, its Z97 model was excellent. 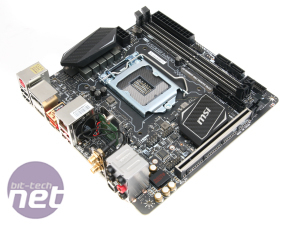 Thankfully, this time it has solved some of the issues we found with its predecessor, namely the lack of an 80mm+ compatible M.2 port, which meant it couldn't use any of the speedy offerings then or now. 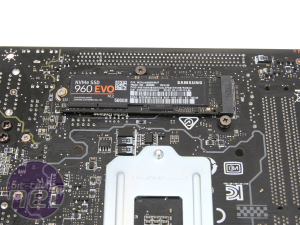 The Z270I Gaming Pro Carbon does have an M.2 port that can house the likes of Samsung's 960 Evo, located on the rear of the PCB as we're seeing with a number of boards at the moment - even Asus's micro-ATX ROG Strix Z270G Gaming. 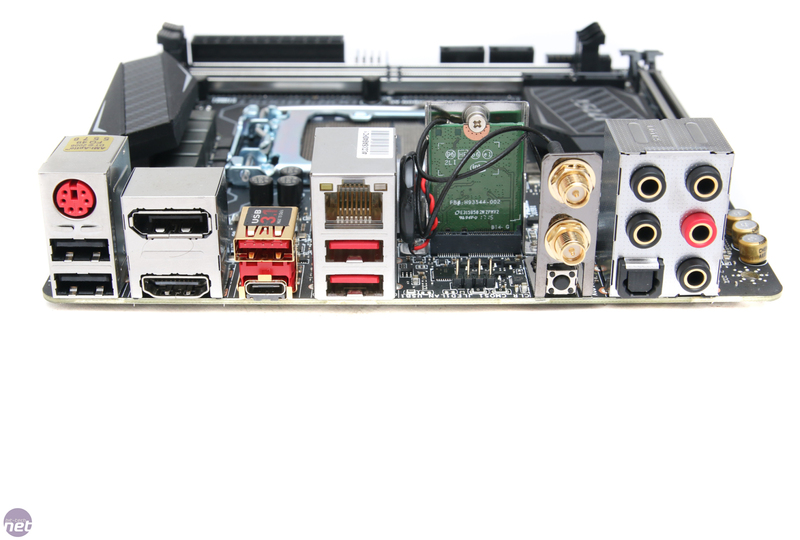 However, Asus has managed to trump MSI here, as its competitor, the ROG Strix Z270I Gaming, sports two M.2 ports. Of course, there's not much you can do with two other than RAID a pair of pricey SSDs, and as far as we can tell, you'll have to pay an extra £25 for the privilege too. 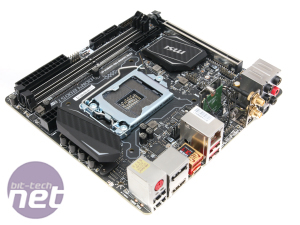 The board costs the same as many of the Z270 ATX boards we've looked at, but the likes of Asus's ROG Strix Z270F Gaming and MSI's own Z270 Gaming Pro Carbon lack Wi-Fi. While you lose some PCI-E ports and some PCB real estate, you do at least get an Intel dual-band Wireless-AC 8265 module - itself retailing for around £25 - plus two antennas. 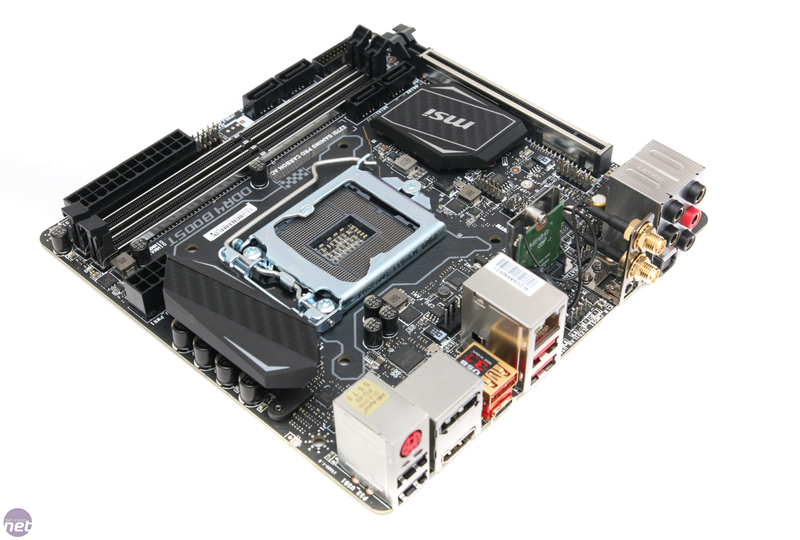 We guess Wi-Fi is an attractive feature to have with a small PC that's probably more mobile than a larger rig, although we wonder if the board would be a more attractive proposition if a sub-£150 price tag was achieved by ditching the Wi-Fi. 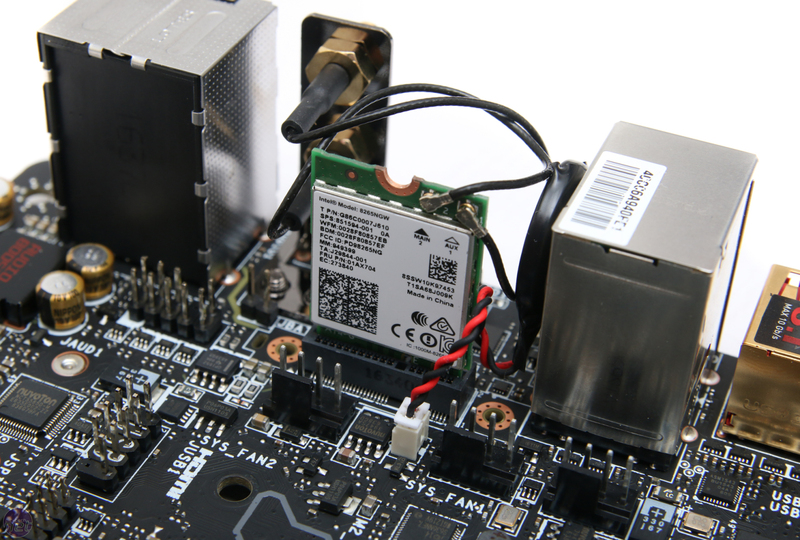 If you'll be using the LAN port, then there are some more points here as it's Intel-powered. 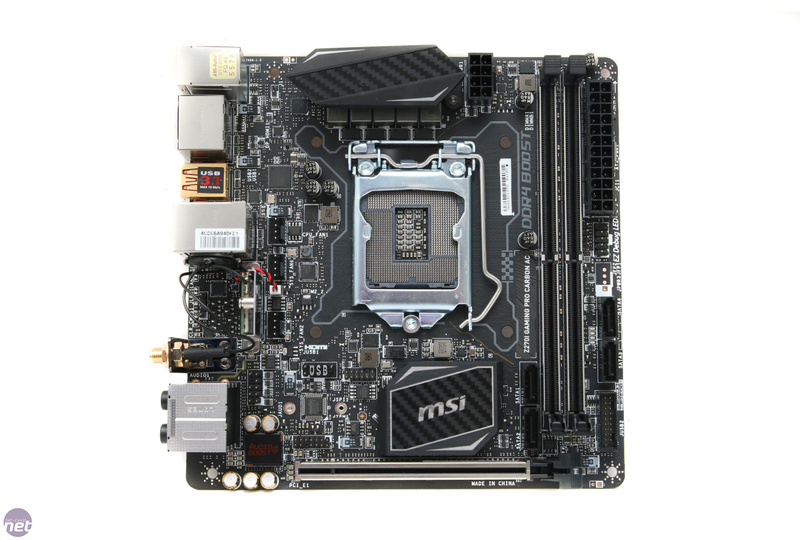 MSI's fan control is excellent, so it's good to see three 4-pin headers to take advantage of, be it for AIO cooler pumps or case fans. 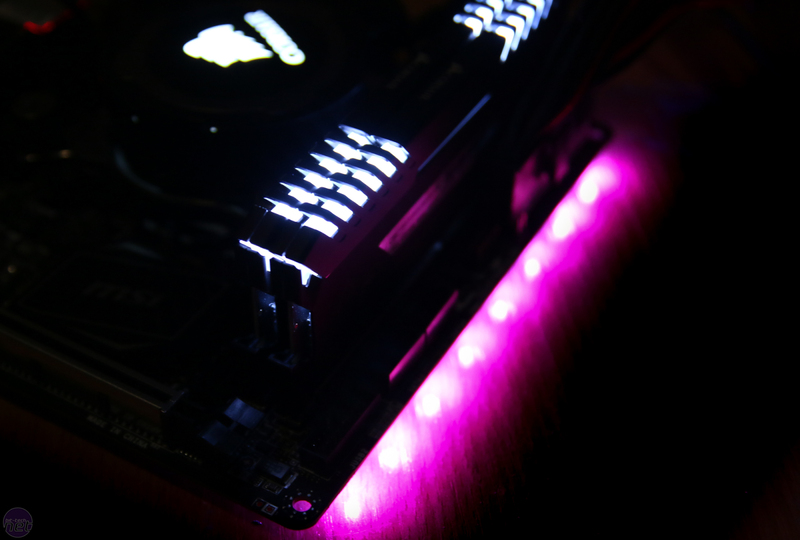 The other side of these is a 4-pin RGB LED connector - yes, they've made it to mini-ITX too, although thankfully MSI hasn't seen fit to create a mini Christmas tree. 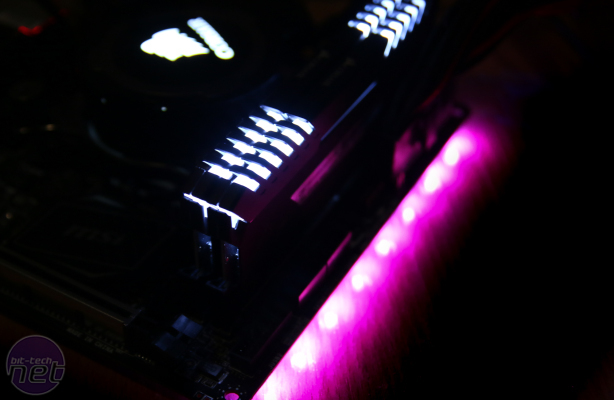 Only LEDs under the DIMM slot side of the board illuminate in full RGB mode, which can be controlled in MSI's software. 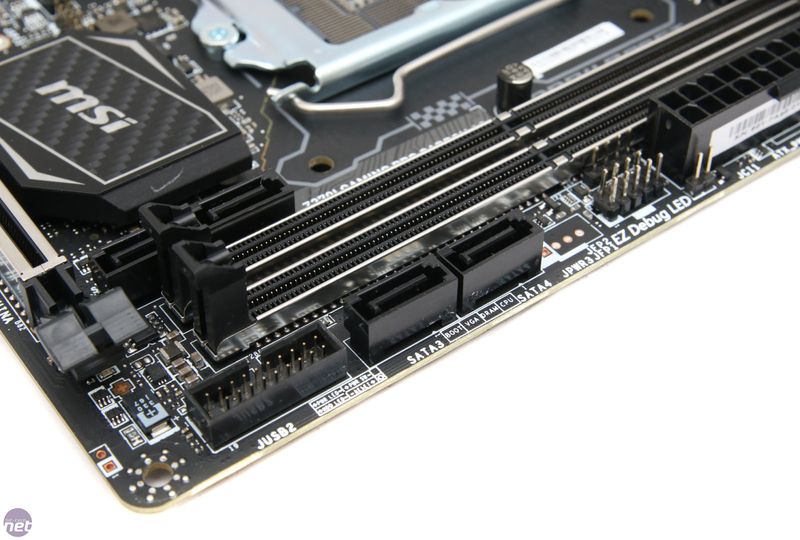 It's undoubtedly a busy PCB, but apart from some of the SATA ports being located the wrong side of the DIMM slots, there's little to complain about. 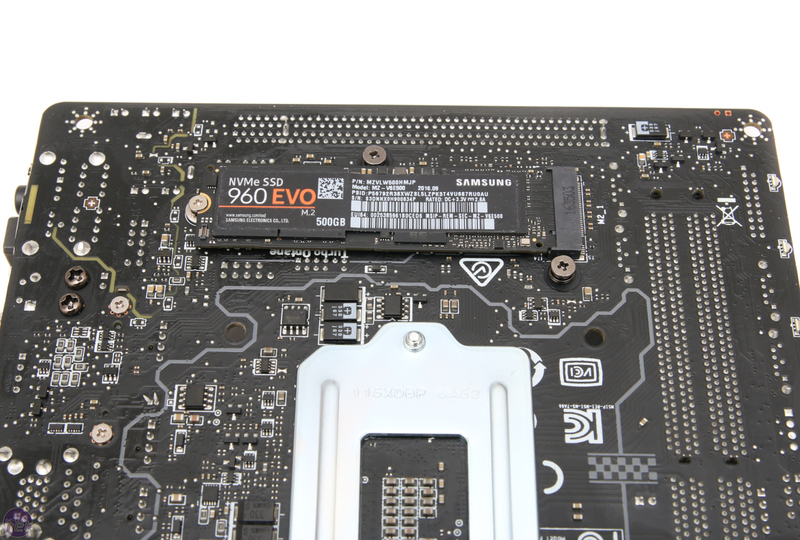 The rear panel happily sports a CMOS clear button - rare on boards costing less than £180 - plus you get gold-plated audio ports, an optical output, as well as the antenna connectors for the 802.11ac Wi-Fi module. However, while it also includes ASMedia-powered USB 3.1 Gen 2 Type-A and Type-C ports, there are only five Type-A ports in total - two USB 2.0, two USB 3.0 and one USB 3.1, although this should be enough for most people.